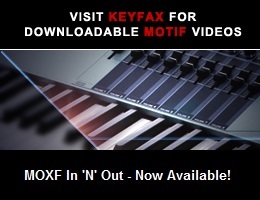 Viewing topic "Can a MOXF Drum Kit Voice be triggered by a Roland Electronic TD Drum Kit?" You may not be a “Mac Guy” 5pinDIN, but you are a “GREAT Guy”!!!! So TD-1KV to MacBook Pro, MacBook Pro to MOXF? That simple, as far as the physical connections go. The rest is about routing the MIDI data from the TD-1KV to the MOXF’s Port 1 via the Mac. How easy that will be depends on your understanding of the Mac and MIDI ports, or your finding someone who can assist with that. The rest is about routing the MIDI data from the TD-1KV to the MOXF’s Port 1 via the Mac. How easy that will be will depend on your finding someone who can assist with that. I’m Posting on the MOTIF XF Forum to see if I can find that someone, and I will also go to my LPX Forum to see if they can help.